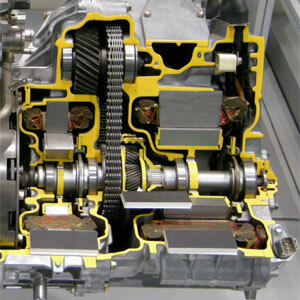 The Auto Research Center's driveline test facility provides transmission and powertrain development opportunities for end users and developers alike. Testing the drivetrain as a complete unit ensures all opportunities for efficiency are explored. Using state of the art secondary control hydraulic motors, our drivetrain dyno is able to provide a wide range of torque input into the drivetrain with extremely accurate and repeatable results. High horsepower, up to 600hp, and shaft speeds (9000 rpm) can be reached on the test rig to accommodate industry testing. The ARC drivetrain rig allows for independent control of RPM on each absorber. 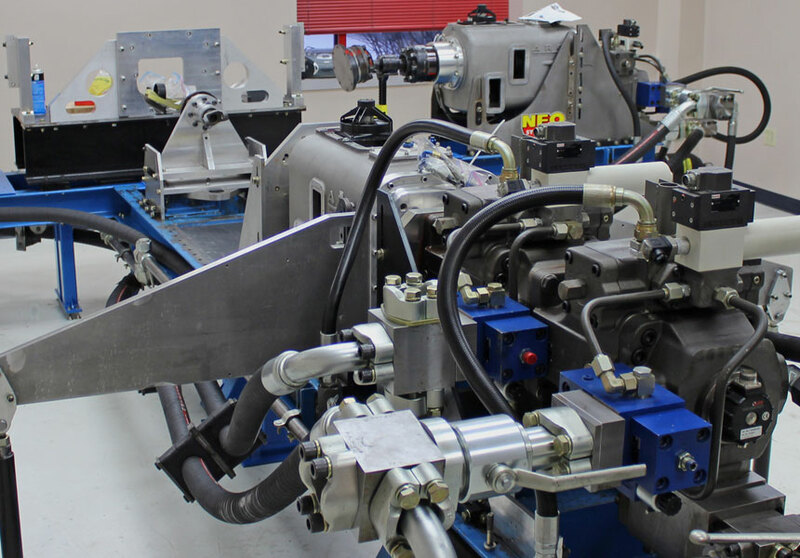 Racing teams, production car, motor oil manufacturers, transmission designers and more have used the test rig to increase performance. Developing and verifying hybrid drives requires a new level of technology from driveline test rigs. The ARC driveline can test hybrid systems for the task using Bosch-Rexroth Secondary Control Technology. Secondary Control allows hydraulic systems to quickly switch from absorption to driving thus the ARC rig can replicate realistic drive cycles in order to optimize hybrid drives. Manufacturers of hybrid drive systems will be able to work on their regenerative braking control strategies by using the ARC driveline rig in drive cycle replication mode. To allow energy management controller development, the drive cycle can be created manually or by using data previously recorded on an instrumented car. Thus the efficiency of the hybrid drive system through the complete cycle is measured. This allows our customers to try different energy management strategies in the controllers to fully optimize their performance. Also, because the ARC dyno simulates the power input from the engine, the hybrid system can be tested in isolation without the need for an engine. 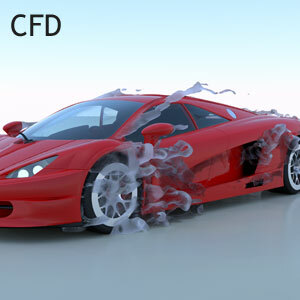 This allows development of systems by customers who are interested in developing bolt on solutions for various engines. 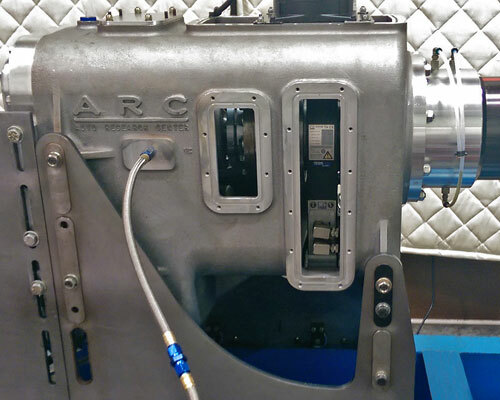 With the ARC driveline dyno's ability to quickly change out drivelines, several different designs could be tested without having long downtime delays while making large transmission setup adjustments, allowing for more innovation in a quicker timeframe. Development and implantation of the test facility was done entirely in house by ARC. This provided ARC maximum flexibility in design to ensure it stood out in a world filled with various drivetrain testing facilities. 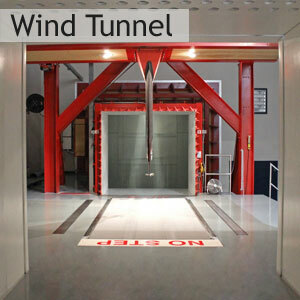 ARC also sells drivetrain test facilities to clients.